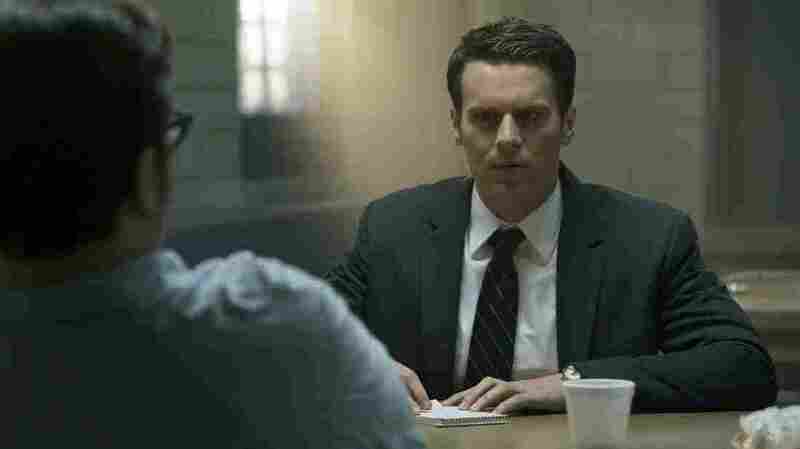 'Mindhunter' Actor Jonathan Groff On His Most Life-Altering Roles Groff says his work on HBO's Looking changed his life: "It's one of my favorite things I've worked on, the most personal thing I've worked on." He now stars in the Netflix series Mindhunter. Jonathan Groff plays an FBI agent and criminal profiler in the Netflix series Mindhunter. Growing up in Pennsylvania, actor Jonathan Groff was a Disney-obsessed kid who dressed up as Mary Poppins and Cinderella and dreamed of one day performing on Broadway. Other parents might have balked at a little boy dressed in women's clothing and singing show tunes — but not Groff's mother. "She didn't bat an eye," he says. "She was all about letting us express ourselves however we wanted to, which was amazing." Groff's penchant for acting and self-expression lead him to community theater and a touring production of The Sound of Music. Eventually, he made it to both Disney and Broadway: He voiced Kristoff the ice harvester in the 2013 Disney film Frozen, and he played King George III in the Broadway production of Hamilton. Groff has also appeared in a Broadway production of Spring Awakening and he starred in the HBO series Looking. I started by reading the book Mindhunter, written by John Douglas, who my character is inspired by. And he really lays it all out in that book, just specifically his journey, but also emotionally the kind of toll that talking to the serial killers — and more so, talking to the victims — had on him and his life. And he did have a total mental and physical breakdown. I was playing this character, Melchior Gabor, who was a rebel and who was a person who didn't let the world define him, and who stood up to authority and was this kind of revolutionary. ... And when I left Spring Awakening, I came out of that experience feeling like ... I had cultivated this side of my personality that hadn't existed before. I left Spring Awakening and within a month of leaving the show I came out to my parents and to my friends, and broke up with my boyfriend and moved into an apartment of my own and completely changed my life. It's this idea that [Lin-Manuel Miranda] had that King George would sing the equivalent of kind of a break-up song. ... I had no real rehearsal. I rehearsed for about a day, and then went into the show. And so when I went into the show, I had no British accent. ... It was like I was doing the high school play. I just had no sense of character. I just came out in the costume and sang the song and walked offstage. And through the course of the first month it was kind of like a rehearsal process in front of the audience, which was really awesome and really interesting. But it was a testament to the material that even without any sort of sense of what I was doing in those initial weeks, you could come out there and the song just kills, because the song is so great. I had never done voice-over work before. ... It's interesting because the character of Kristoff, when you really step back and think about it, is a little bit of a psychopath in that he speaks in his voice and then he spends so much time alone in the woods with his reindeer [Sven] that he speaks on behalf of his reindeer — which, I guess, in some ways seems psychotic, but then now that I'm talking about it, a lot of people have weird pet voices for their pets. ... So we were exploring the world of that, and tried a bunch of different voices, and then landed on the one that's Sven. It's one of my favorite things I've worked on, the most personal thing I've worked on. One of the things I'm most proud of in my life was this show, and it also changed my life. ... For me, getting the opportunity to spend those three years expressing myself as a gay man and kind of living in that world and talking about gay issues was truly life altering for me and made me so much more comfortable in my own skin in a way that I didn't anticipate when I said yes to the show. Lauren Krenzel and Heidi Saman produced and edited this interview for broadcast. Bridget Bentz, Molly Seavy-Nesper and Nicole Cohen adapted it for the Web.